Elton John: Tickets on sale now! Elton John wanted his fans to enjoy an extensive stage production and decided to make his mark on the history of the Festival: more than 15,000 festival-goers will now be able to attend his magical show outdoors on 29 June, 2019! This unique event replaces the two concerts planned for the Auditorium Stravinski. 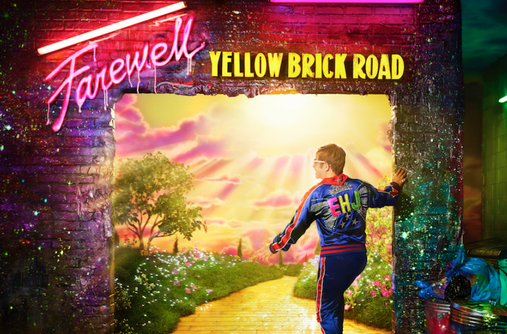 There are some events you just can’t afford to miss, and Elton John’s farewell tour is one of them! That’s why the Montreux Jazz Festival is pulling out all the stops for his unique appearance in Switzerland in 2019. This outsize event is not only an exceptional event: the first visit ever by Elton John to the Festival; but also the first ever open-air concert of this magnitude in a Montreux stadium. The entire Festival team, used to all sorts of artistic challenges and to the singular concerts that have marked its history, set about to make it a reality. This unique event replaces the two concerts planned for the Auditorium Stravinski on 29 and 30 June 2019. All tickets purchased for these 2 concerts remain valid for the event at the Saussaz Stadium. All ticket-holders will be informed per email on 19 March at 11am. The message will include additional information for refunds.